BROWNSVILLE — Valley View was hungry from the opening kickoff, and the Tigers (18-13) were on the hunt for goals. 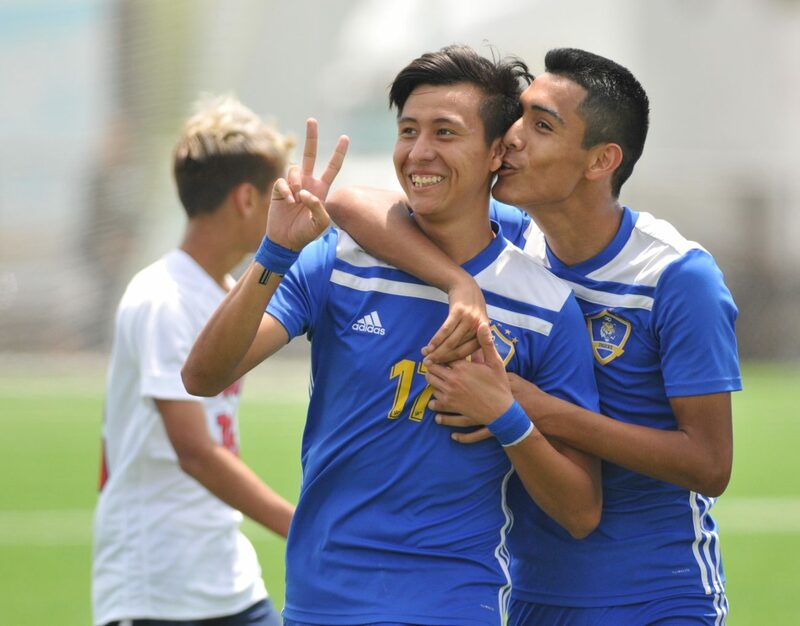 They drew two crossbars in the first two minutes of Saturday’s contest, a foreshadowing of the scoring barrage that was to come in Valley View’s 4-2 win over Brownsville Veterans in the Region IV 5A final Saturday at Cabaniss Stadium in Corpus Christi. Six minutes later, Mario De Los Santos burst through a crowded box to give Valley View a lead it would never surrender. De Los Santos was Friday’s hero, but the turning point of Saturday’s contest came when Yonathan Castro converted a free kick with 10 minutes remaining in the first half, providing a two-goal cushion that proved crucial before the Chargers (22-4-1) made a late push. An elated Castro did a cartwheel after his goal to the delight of the Tigers fans that had lined the fence near the sidelines. Near the midpoint of the second half, Moises Navarro did his best to withstand a furious Tigers rush in front of the net, leaping to make a save with his fist. But De Los Santos was at the right place at the most opportune time, executing a bicycle kick that was the proverbial gut punch for the Chargers. Facing a 3-0 deficit that thanks to De Los Santos (who recorded his second hat trick in as many days) quickly became 4-0 was a daunting predicament for Brownsville Veterans. Valley View outshot Brownsville Veterans 7-2, and the Chargers had four corner kicks to the the Tigers’ one. But the Chargers scored two late goals in four minutes – the first from Juan Amieva and the second from Diego Bernal – and were the width of a goalpost away from coming all the way back to within a single goal of Valley View. Amieva scored the lone goal for Brownsville Veterans in last year’s game and again was a key part of the comeback bid for the Chargers. The senior credited his coaching staff and expressed optimism that the program will continue to succeed despite the departure of several key players next season. The Tigers will await the winner of Wakeland and Mount Pleasant in the 5A state semifinals in Georgetown on April 18.